Need a good laugh when you write out your next personal check? You'll find a large selection of Life Is Crap check designs to choose from. Inspired by two guys stuck in a British airport, these funny quotes and sayings have appeared on many t-shirts and now appear on personal bank checks. For those with a sense of humor, these cheap checks come with free shipping and fast delivery. 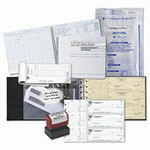 Order your checks today.